Buying a certified used car from Toyota Western Motors is one of the best ways to ensure incredible value for money as well as exceptional motoring quality. 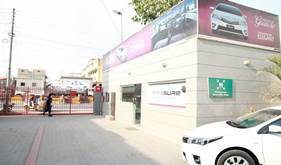 We pride ourselves in stocking widest range and best quality certified used vehicles. Only vehicles under 5 years old, below 80,000 Kilometres and major accident free are eligible to become Toyota Certified Used Vehicles. The car we buy goes under 203 points quality check and the best cars are selected for certification. The better a product is made the longer it lasts and the more you enjoy it. Buying a used car from a private seller tends to be a frustrating, unclear and time consuming venture. To be thorough, you'll need to check your potential vehicle's ownership and service history along with ensuring you have a trained technician give it a fine-toothcomb checking for any potential flaws which will cost you in the future. 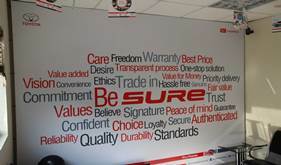 Alternatively, you can simply select a Toyota Certified Used Car and enjoy the complete peace of mind you so deserve. Getting a high-quality Toyota at a great price is a very smart move. But getting a high-quality Certified Used Toyota at a great price is an even smarter move. The Toyota Certified Used Cars program is proof of our commitment to constant improvement and is setting the benchmark for peace of mind amongst those in the used car market. Not only does the Certified Used Car Program offer a range of benefits that no private seller could offer, it comes with the backing of the world's most trusted automotive brand, Toyota. 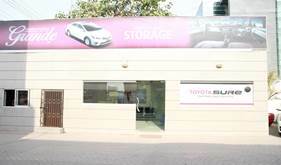 Toyota SURE is here to facilitate sales, purchase and even exchange of any used car with a brand new Toyota. Simply put, if you’re looking to buy a brand new Toyota by exchanging it with any used car or just looking to buy a used car that you can completely trust, Toyota SURE is where you can experience this convenience. 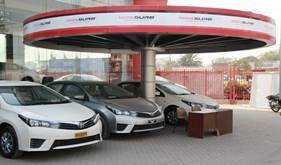 Get free evaluation of your car by Toyota experts, where your car will be inspected in a fair and transparent manner to identify the quality level of the vehicle. Get best price for your used car through our systematic pricing approach, the high price we pay for Toyota cars is the reward you deserve for owning a Toyota. Simply pay the difference and drive out with a brand new Toyota.